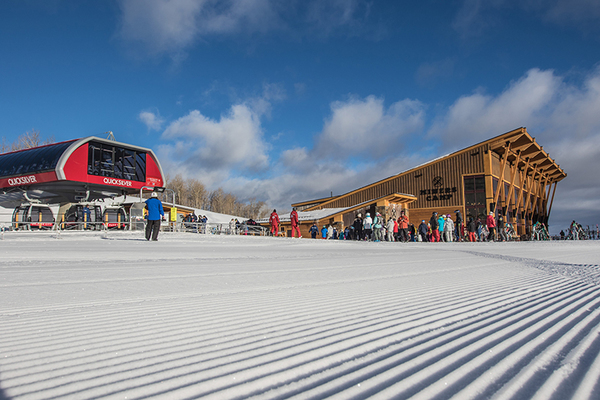 The Mature Traveller: New lift link creates "largest ski resort in the US"
New lift link creates "largest ski resort in the US"
The link between Utah's Park City and neighbouring Canyons is now open, creating what is claimed to be the biggest ski area in the US. The Quicksilver gondola lift connects resorts in 8 mins 30s ecs. Together the two area offer a total of over 300 runs served by 41 lifts. A longer term plan envisages linking the with a further five Utah resorts - Snowbird, Alta, Deer Valley, Solitude and Brighton. Known as the One Wasatch Concept, after the eponymous mountain range, this would create a combined 750 runs with 100 lifts, But the plan will be fraught with difficulties, not least over the need to protect the water supply.